In 1979, Kevin D. Harrington, MD, an orthopedic surgeon at the University of California at San Francisco, hypothesized that persistent lateral ankle ligament instability causes unbalanced loading of the medial joint, which could in turn lead to the development of osteoarthritis (OA) of the ankle.1 His paper, published in the Journal of Bone and Joint Surgery (JBJS), became a foundation for subsequent research that has, paper by paper, strengthened the link between chronic ankle instability (CAI) and ankle OA. Researchers and practitioners have sought treatments and interventions that might ease the burden of CAI and, further, prevent OA. It makes sense that reducing the risk of ankle OA could be a matter of reducing the risk of ankle sprains, according to Cathleen Brown, PhD, ATC, codirector of the Biomechanics Laboratory in the Department of Kinesiology at the University of Georgia in Athens. “We do not know for sure, but more sprains increase the risk of OA, so decreasing the number of sprains experienced would be a goal. The number of sprains can be reduced in people with CAI through ankle bracing and ankle rehabilitation,” Brown explained. In his 1979 study, Harrington evaluated the records of 36 patients who had experienced lateral ankle instability (LAI) for at least 10 years and who underwent reconstruction of the lateral ankle ligaments. Four patients also had total ankle replacements. Upon inversion stress examination by Harrington, all 36 patients had inversion instability and a palpable opening of the lateral tibiotalar joint space. Of the 36 patients, 30 (83%) had experienced joint pain indicative of degenerative arthritis prior to surgery but did not experience further ankle instability symptoms after treatment. Duke University researchers, in a 2009 AJSM paper, concluded that altered kinematics in the anterior talofibular ligament (ATFL) could be a link between ankle instability and OA.8 They used magnetic resonance imaging (MRI) and fluoroscopy to evaluate the experiences of nine patients with ATFL injuries. Some of those same researchers, in a 2010 paper in the Journal of Biomechanics,9 concluded that one way chronic LAI may contribute to ankle OA is shifting anteromedially the peak contact strain of the cartilage. They also used MRI and fluoroscopy to corroborate clinical findings of cartilage strains in seven patients with chronic LAI who experienced damage to the ATFL and calcaneofibular ligament. More recently, in the October issue of Foot & Ankle Specialist, researchers from the Kaiser San Francisco Bay Area Foot and Ankle Residency in Oakland, CA, contributed more possible evidence that chronic LAI may “predispose patients to osteoarthritis.”10 They determined that of 28 LAI patients who underwent ankle arthro­scopy between 2004 and 2008, all experienced inflammation of the synovial membrane, seven had talar cartilage fibrillation, and four experienced cartilage defect, among other effects. “Post-traumatic ankle osteoarthritis is really an up-and-coming trend that’s becoming more commonly investigated—which is a good thing,” said Patrick McKeon, PhD, ATC, assistant professor in the Division of Athletic Training at the University of Kentucky College of Health Sciences in Lexington. Much of the increased research focus on ankle OA is related to ankle replacement surgery, since patients scheduled for ankle arthroplasty typically have been diagnosed with ankle OA. As studies of risk factors contributing to ankle OA have become more common, so have studies of the technical and clinical success of ankle replacement procedures, McKeon said, although whether the two trends are related is unclear. “Ankle replacements are not as popular as hip and knee replacements, but technical advances have shown promise for them as a viable treatment option for end-stage ankle osteoarthritis,” McKeon added. A literature review by Duke University researchers in the August issue of JBJS pegged survivorship for total arthroplasty implants at 70% to 98% after three to six years and 80% to 95% after eight to 12 years, with most patients being able to return to recreational sports activity afterward.11 An analysis of ankle replacements in a Swedish register between 1993 and 2010, reported last year in Acta Orthopaedica,12 found that while the survival rate for 780 implanted prostheses declined from 81% at five years to 69% at 10 years, results slowly began to improve in the latter years of the study and that improvements in technology and better patient selection should improve survivorship. Many efforts in the past several years have been aimed at finding ways to prevent progression of ankle instability and possibly OA. A number of published papers have covered the topics of bracing and taping of ankles, as well as rehabilitation interventions such as balance control. External support. The most recent Cochrane review on ankle sprain prevention, published in 2001, concluded that external ankle support devices offer significant reductions in risk of ankle sprains, but more so for recurrent than fresh sprains.15 The forms of support included orthoses, braces, high-top shoes, boot inserts, and taping. The reviewers wrote that the evidence points to beneficial effects of orthoses and braces for high-activity sports but that any prophylactic benefit should be balanced with the risk of injury, the cost of the support, “and for some, the possible or perceived loss of performance.” However, that review has since been designated as “withdrawn,” indicating the need for an update. Balance control. Balance control interventions have been the focus of a number of researchers in the past few years. “We’ve seen good things come out of balance training,” McKeon said. In a study published in Medicine & Science in Sports & Exercise in 2008,17 McKeon and colleagues randomly assigned 31 young adult patients with CAI to an intervention group or to a control group. While the control group maintained activity levels consistent with the prestudy period, the intervention group went through 12 supervised balance training exercises for four weeks that concentrated on stabilization in a single limb stance after landing from a hop. The intervention group was associated with significant improvements in function and in static and dynamic postural control. “We believe that progressive balance training significantly enhanced the ability of the sensorimotor system to overcome the sensorimotor constraints related to CAI,” McKeon and colleagues wrote in the study. Earlier, researchers at Shenandoah University in Winchester, VA, reported on another four-week rehabilitation study in the Journal of Orthopaedic & Sports Physical Therapy.18 Their program addressed range of motion, strength, neuromuscular control, and function. The 16 CAI patients in the rehabilitation group showed greater improvements from baseline on the star excursion balance test reach tasks and on functional index scores than the 13 CAI patients in the control group. Addressing obesity. Weight-loss programs could also be combined with other preventive measures to help delay progression from CAI to ankle OA. A 2007 article in Foot and Ankle International demonstrated an association between obesity and ankle OA.21 Researchers at the West Coast Sports Medicine Foundation in Manhattan Beach, CA, evaluated the records of 1411 patients seen for foot and ankle problems. They compared records of complaints from people who were of normal weight or underweight to complaints from overweight and obese individuals. Overweight or obese patients were more likely, although not significantly, to develop OA. According to the researchers, osteoarthritis can be secondary to overuse and stress on the soft tissues and joints, which can result from heavier body weights. If traditional rehabilitation approaches can’t address mechanical instabilities, surgery may be the only remaining option for those patients. One Dutch study,23 although published in 2004, still stands as a reminder that timing may be important, McKeon said. The study analyzed one year of volleyball injuries in a Dutch population for one season. 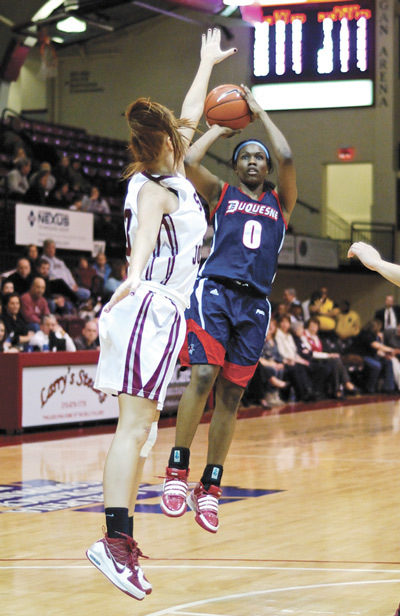 Ankle sprains accounted for 41 of 100 injuries. However, said McKeon, the first six months after injury were the most critical in avoiding recurrent sprains, and if players had not sustained a recurrent injury 12 months later, their risk of suffering another sprain dropped down to that of people who had never had a sprain. 1. Harrington KD. Degenerative arthritis of the ankle secondary to long-standing lateral ligament instability. J Bone Joint Surg Am 1979;61(3):354-361. 2. Fong DT, Hong Y, Chan LK, et al. A systematic review on ankle injury and ankle sprain in sports. Sports Med 2007;37(1):73-94. 3. McKeon PO, Mattacola CG. Interventions for the prevention of first time and recurrent ankle sprains. Clin Sports Med 2008;27(3):371-382. 4. Waterman BR, Owens BD, Davey S, et al. The epidemiology of ankle sprains in the United States. J Bone Joint Surg Am 2010;92(13):2279-2284. 5. Neale T. AAOS: Sports account for half of ankle sprains. MedPage Today. http://www.medpagetoday.com/MeetingCoverage/AAOS/19019. Accessed January 25, 2012. 6. Valderrabano,V, Horisberger, M, Russell I, et al. Etiology of ankle osteoarthritis. Clin Orthop Relat Res 2009;467(7):1800-1806. 7. Valderrabano V, Hintermann B, Horisberger M, Fung TS. Ligamentous posttraumatic ankle osteoarthritis. Am J Sports Med 2006;34(4):612-620. 8. Caputo AM, Lee JY, Spritzer CE, et al. In vivo kinematics of the tibiotalar joint after lateral ankle instability. 2009;37(11):2241-2248. 9. Bischof JE, Spritzer CE, Caputo AM, et al. In vivo cartilage contact strains in patients with lateral ankle instability. J Biomech 2010;43(13):2561-2566. 10. Lee J, Hamilton G, Ford L. Associated intra-articular ankle pathologies in patients with chronic lateral ankle instability: arthroscopic findings at the time of lateral ankle reconstruction. Foot Ankle Spec 2011;4(5):284-289. 11. Easley, ME, Adams SB Jr, Hembree WC, DeOrio JK. Results of total ankle arthroplasty. J Bone Joint Surg Am 2011; 93(15):1455-1468. 12. Henricson A, Nilsson JA, Carlsson A. 10-year survival of total ankle arthroplasties: a report on 780 cases from the Swedish Ankle Register. Acta Orthop2011;82(6):655-659. 13. Gougoulias N, Khanna A, Maffulli N. How successful are current ankle replacements? Clin Orthop Relat Res 2010;468(1):199-208. 14. Nunley JA, Caputo AM, Easley ME, Cook C. Intermediate to long-term outcomes of the STAR total ankle replacement: the patient perspective. J Bone Joint Surg Am 2012;94(1):43-48. 15. Handoll HH, Rowe BH, Quinn KM, de Bic R. Interventions for preventing ankle ligament injuries. Cochrane Database Syst Rev 2001;3:CD000018. 16. Verhagen EA, Bay K. Optimising ankle sprain prevention: a critical review and practical appraisal of the literature. 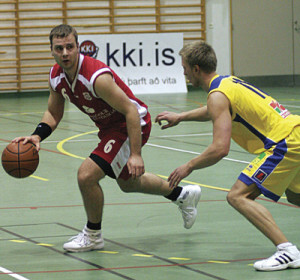 Br J Sports Med 2010;44(15):1082-1088. 17. McKeon PO, Ingersoll CD, Kerrigan DC, et al. Balance training improves function and postural control in those with chronic ankle instability. Med Sci Sports Exerc 2008;40(10):1810-1819. 18. Hale SA, Hertel J, Olmsted-Kramer LC. The effect of a 4-week comprehensive rehabilitation program on postural control and lower extremity function in individuals with chronic ankle instability. J Orthop Sports Phys Ther 2007;37(6):303-311. 19. Wikstrom EA, Naik S, Lodha N, Caraugh JH. Balance capabilities after lateral ankle trauma and intervention: a meta-analysis. Med Sci Sports Exerc 2009;41(6):1287-1295. 20. Valderrabano V, von Tscharner V, Nigg BM, et al. Lower leg muscle atrophy in ankle osteoarthritis. J Orthop Res 2006;24(12):2159-2169. 21. Frey C, Zamora J. The effects of obesity on orthopaedic foot and ankle pathology. Foot Ankle Int 2007;28(9):996-999. 22. McKeon PO, Paolini G, Ingersoll CD, et al. Effects of balance training on gait parameters in patients with chronic ankle instability: a randomized controlled trial. Clin Rehabil 2009;23(7):609-621. 23. Verhagen EA, Van der Beek AJ, Bouter LM, et al. A one season prospective cohort study of volleyball injuries. Br J Sports Med 2004;38(4):477-481.